The 4×4 Suv market is becoming increasingly popular among younger families. 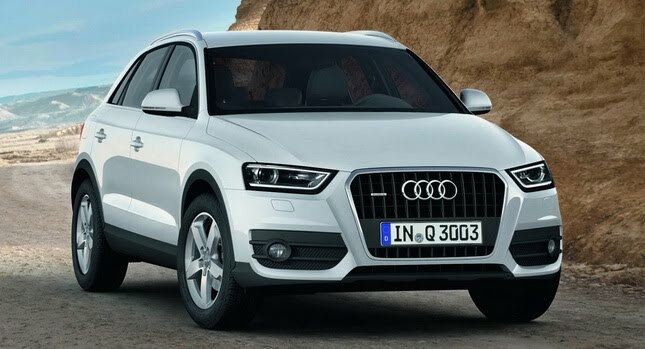 Earlier due to lighter competition, the Audi Q3 had a lot of fans in this segment. The only competition it had were previous generations of the BMW X1 and the Mercedes Benz GLA. But now there’s a newer, better X1 on the block. One that offers as much space as most people will ever need. And it drives almost like a hot hatch while looking like a proper 4×4. So the A3’s had a mid-life spot of nip-and-tuck; if that’s not enough to keep it competitive, though, its place as a buyers’ favourite could be challenged. Here’s a list of its pros and cons. The Q3 offers plenty of room up front, but gets progressively less spacious the further back you go. For the driver and passenger it’s perfectly fine. The wide-opening doors and high driving position allow easy access and plenty of space. There’s a decent spread of trinket cubbies, too, meaning storage for smaller bits and bobs isn’t an issue. In the rear, it’s just as spacious, with plenty enough room for two adults to sit side-by-side. However, rear seat passengers also have to put up with a narrow door aperture which makes entry and exit tricky. Moving further back, the Q3’s boot is quite a bit smaller than those of the BMW X1 and Mercedes GLA. With its high load lip and relatively small aperture, loading things isn’t the easiest. It’s not much of a problem to write a Q3 but, it isn’t too perfect. While it never crashes through bumps, it never feels entirely settled either, and could do with more pliant damping. Wind, road and engine noise are all adequately quelled, too, which helps maintain an air of calm inside. However, the Q3’s seats aren’t the most comfortable. Up front, the problem is in the base’s padding. It feels rather too firm, resulting in instances of numb bum on medium-to-long trips. While in the rear, the bases are rather low, meaning you find yourself having a knees-up – only without the booze. The driver’s seat also feels oddly canted forward, as though it’s pitching you into the steering wheel, which takes some getting used to. 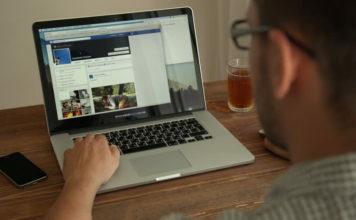 The result is that you find yourself constantly fidgeting to find a more comfortable position. It feels like a few corners have been cut with the Q3’s dashboard. For example, the choice of plastic for large swathes of the dash is rather too hard and brittle, which makes the whole thing feel less upmarket than it really should. What’s more, rather than the usual rotary dials to select temperature, you get an odd pair of round clicker switches which turn the temperature up and down a notch at the time, and are hard to reach as they’re recessed. Fortunately, all the other buttons are where you’d expect to find them, and the menu system is easy enough to get to grips with, though the BMW X1’s is even easier. 4x4s aren’t always too easy to drive, but this one really is. The steering is almost disconcertingly light, as are the pedals, and the compact dimensions make it very easy to place on the road. 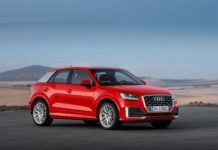 What’s more, there’s an automatic version of almost every model in the range, all with good, fast-changing gearboxes that make the Q3 even easier around town. The only slight fault is in terms of visibility, which to the rear and over your shoulder can feel a little clouded by the small windows and tall rear seat backs. But the standard rear parking sensors help to mitigate even this issue. If there’s one thing that saps enjoyment from the Q3’s driving experience, it’s the steering. Its lightness is a boon when you’re parking up, but out on the open road it’s horrible, giving a weird springiness around the centre and making you feel very cut off from what’s going on at the nose. Mind you, what’s going on at the nose is usually not that exciting either; it’s all very safe and predictable, but rather bland, too, lacking the lively, zesty responses of the BMW X1. That said, the Q3 is at least well-off for grip, and its body resists the urge to roll you tend to get with taller cars pretty well. 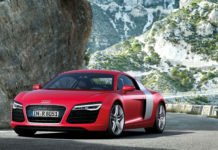 Audi limits you to three years or 60,000 miles, whichever comes first, on its standard new-car warranty. That compares rather poorly, not only with Kia, Toyota and Hyundai, all of whom offer far longer warranties on their similar-sized 4x4s but also with BMW and Mercedes, whose three-year warranties are not constrained by a mileage limit. As a general rule, the BMW X1 is quite a bit more fuel efficient than the Q3, whether you choose petrol or diesel models, and whether two- or four-wheel drive. The Mercedes GLA is more on the Q3’s level. But even then, it depends on which version you choose as to whether the Q3 is better. In other words, it’d be wrong to call the Q3 a gas famisher, but then neither is it the most efficient car out there. 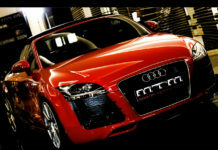 The Q3 scored well in crash tests back in 2011, with a five-star rating from the industry benchmark EuroNCAP. However, those tests’ methodologies have since been superceded, so this score isn’t comparable with those of the BMW X1 and Mercedes GLA, both of which were tested later on. That said, the Q3 should be a safe enough car, with strong scores for occupant protection, although its pedestrian impact scores let it down a little. Also of concern is the fact that it’s impossible to get the Q3 with a system which senses impending front-end impacts and applies the brakes for you. Such a system isn’t standard on rivals either, but it is at least available on their options lists.